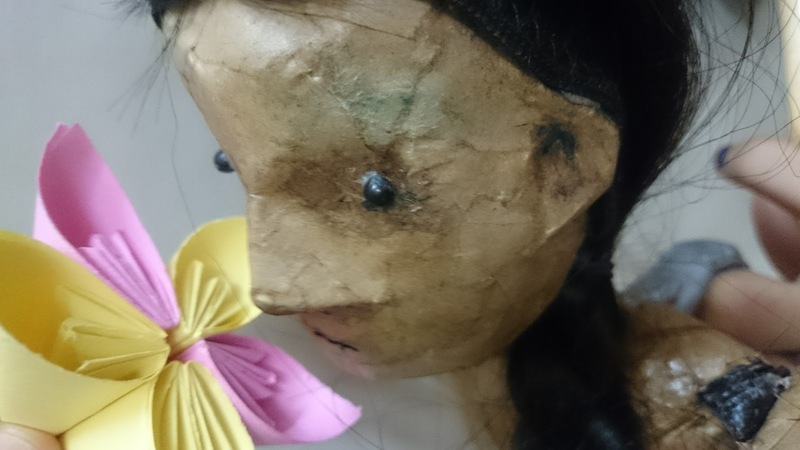 We’ve focused on how to use a Bunraku inspired (3 person operated puppet) and now we are figuring out exactly what this show is going to be. After exploring our role models, the general consensus was that “we don’t really have a role models.” There are definitely women that have inspired us, those that have pushed through the various challenges that still face women today and many are inspired by our mothers. We discovered that we are stirred too by the woman just a little older than us, with a little more wisdom and worldly experience; our next stage in life and sitting next to us on the bus, the one that just missed the auto-rickshaw and the ones that come to see our work, sitting in the audience directly in front of us. Our role models might be everywhere we go, if we choice to see them. Based on this, rough scenes in the rehearsal room are starting to take shape – the show will leave questions with the audience. 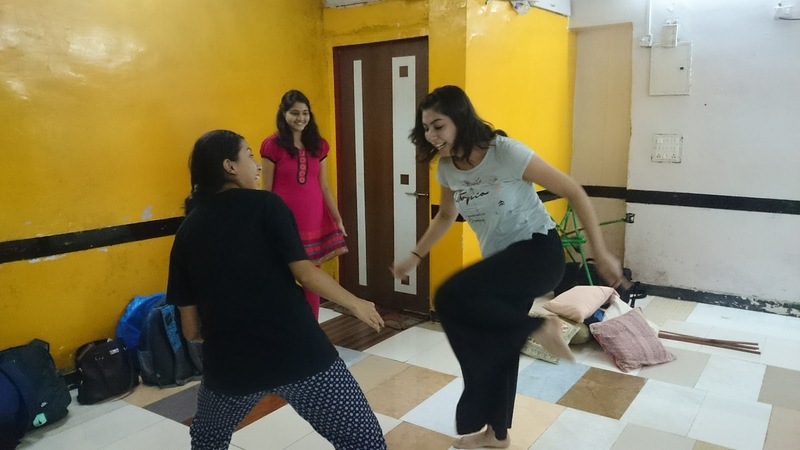 This is our experience as young women in Mumbai so far, where might we go next? The common language well… English, Hindi, Marati, Gujarati, Bengali and a little bit of French but above all truth. We have explored rituals of playing games, school, dating, being stood up and the ever eventful Indian transport system, all to the harmonic voices of Thanvi, Lyra and Urmila. 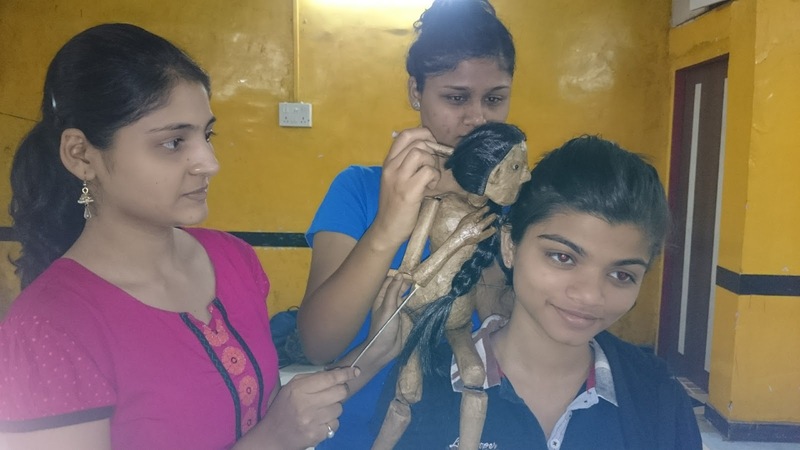 The puppet – now known as ‘Mujer’ or ‘woman’ in Spanish (why not add another to our language list) is being skillfully operated by Thanu, Thanvu and Urmila. Did I mention these are six multi-talented women? We also addressed the title of the show – it’s one thing being asked to supply copy for a show you haven’t made yet, with people you’ve never met, but when you realise the Spanish word in an Indian mouth might well be pronounced “moo-ja” meaning ‘sock’ the audience could get a little confused. Our fantastic stage manager, Riya is assuming a number of roles from taking on role of Assistant Director, sourcing of props, translating continuously and introducing me to the dentists nightmare of sweet‘cutting tea’ while the rest of the company are keen for me to try the array of Bombay Street food! What a team.